Greg represents clients in all aspects of patent and trademark law, including seeking and securing protection for clients’ valuable technical innovations and trademark assets, providing opinions relating to availability of protection and relating to freedom to operate in both patent and trademark arenas, negotiating all types of deals and transactions that involve intellectual property, and enforcing intellectual property rights against third parties. Greg is a registered patent attorney and has more than 22 years of experience providing intellectual property services to individuals, universities, research institutions and companies of all sizes, ranging from start-up companies and small local concerns to large, established international firms. 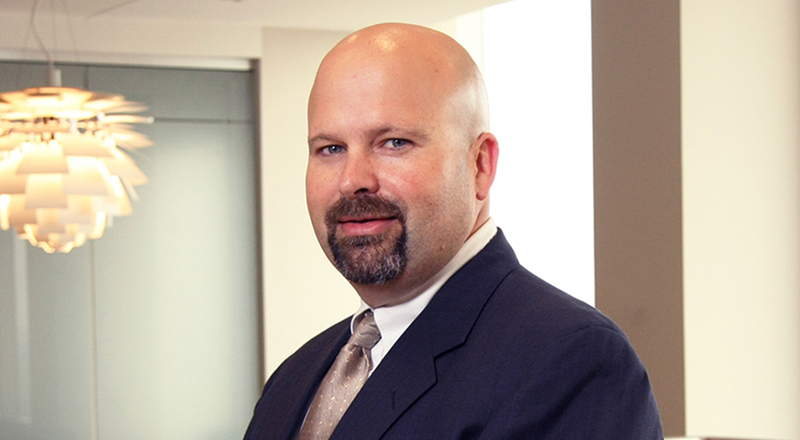 In addition to procuring U.S. patents and federal trademark registrations for clients through preparing, filing and prosecuting patent applications and trademark registration applications, Greg also represents clients in a wide variety of administrative proceedings before the United States Patent and Trademark Office, including Ex Parte patent appeals, patent reexamination proceedings, patent reissue proceedings, trademark opposition proceedings, trademark cancellation proceedings and Ex Parte trademark appeals. He also oversees procurement of foreign patents and foreign trademark registrations, utilizing an extensive network of foreign patent and trademark attorneys. Greg’s practice has spanned a number of technologies, including chemical technologies; molecular and cellular biology, genetics and other forms of biotechnology; medical and biomedical devices; agriculture; mineral processing; solid oxide fuel cell technology; and commercial manufacturing processes, including polymer processing methods and methods for purifying chemical and material products and waste streams. Handling a patent portfolio with more than 100 issued and pending patent properties in the U.S. and many foreign countries for an Indiana medical technology company and its subsidiaries and assisting same in strategic positioning and negotiation of business deals to capitalize on technical assets and increase the value of the company. Handling patent matters for multinational Fortune 200 companies in multiple fields, including the medical device field and the agriculture field. Defending a patent owner’s patent claims in the context of an Inter Partes reexamination proceeding initiated by a third party requestor. Member of multiple legal teams responsible for enforcing and/or defending clients’ patent and trademark rights in federal court. Responsible for handling trademark portfolios of all sizes, including a portfolio of more than 500 issued and pending U.S. and foreign trademark properties. Managing a docket of cases that includes a multitude of U.S. and foreign patent properties and U.S. and foreign trademark properties.